This is one of those situations I laugh at… because even great organizations like Microsoft Learning Experience is going to make the occasional mistake.. especially when it’s systems are all automated and unmonitored. 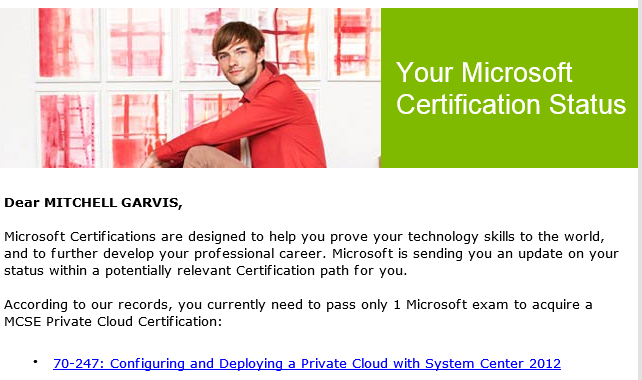 Now here’s the thing… the e-mail is right, I never passed 70-247… but I didn’t have to. 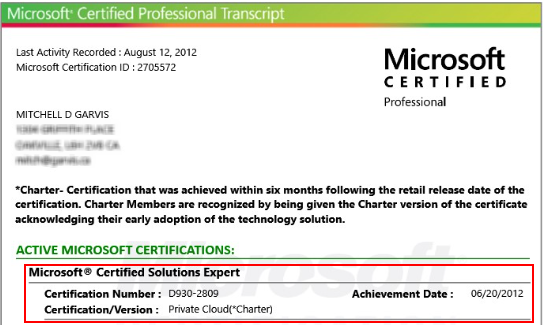 If you passed 70-659 before a certain date then it replaced the requirement for the 70-247 exam… but if the automated system checks people who have passed the requisite exams as of today (and not as of June, 2012) then it is right… I shouldn’t have the cert.